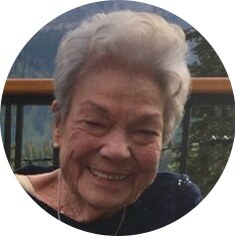 Audrey Wray “Trix”, aged 86 years of Moose Jaw, SK passed away on Sunday, February 10th, 2019. Trix was born in North Battleford, SK and married the love of her life, Chic, on July 31st, 1948 in Fort MacLeod, AB. Chic and Trix purchased the Swing Inn, then in 1960 the Wray’s acquired the KFC Franchise for Moose Jaw, which they continued to operate until 1992. She was predeceased by her parents, John and Cora Hord; husband, DeWillis “Chic”; brothers, Clint and Roy; sisters, Joyce and Sylvia; and great-granddaughter, Cloey Duff. Trix will be lovingly remembered by her son, Don (Donna); daughters: Lynn Wray, Roberta (Carl) Pedersen, Maureen (Kelly) Miller, and Carol (Peter) Sooker; 14 grandchildren, 12 great-grandchildren and 2 great-great-grandchildren; as well as numerous nieces and nephews and their families. A Time of Fellowship will be held at a later date. Flowers are gratefully declined. As an expression of sympathy, donations in Audrey’s name may be made to the Moose Jaw Health Foundation, 55 Diefenbaker Drive, Moose Jaw, SK S6J 0C2 or Wakamow Valley, PO Box 1266, Moose Jaw, SK S6H 4P9. and share a toast to Chic and Trix! Arrangements are entrusted to Moose Jaw Funeral Home, 268 Mulberry Lane. Todd Sjoberg, Funeral Director 306-693-4550. I am saddened to hear of Trixs’ passing. I have known the family since delivering KFC from the Swing Inn in 1970. Sincere condolences to Don, Lynn, Roberta, Carol and Maureen and their families. Dear Don, Carol, Maureen and family…I am so sorry to hear about Trixie’s passing. I will always be grateful to having been a part of the KFC family for a lot years. A lot of what I know today in business is because of what I learned there! Thank you! My thoughts are with you at this difficult time! I am saddened to hear of Audrey’s passing.I knew her from KFC and she was an Avon customer for many years. Sorry to hear of your Mother’s passing, our condolences to the family in your loss. Sorry to hear. You are all in my thoughts and prayers. I know Aunt Trixie is now happy to be with Uncle Chic. To the Wray Family ……We were very saddened to hear of Trix’s passing. We send our sincere condolences to the entire family. I,m so sorry to hear of Trixie’s passing. Trixie and Chic are together again. They were one of the greatest couples that I have known. They were more than clients they were also friends. My condolences to the entire family.